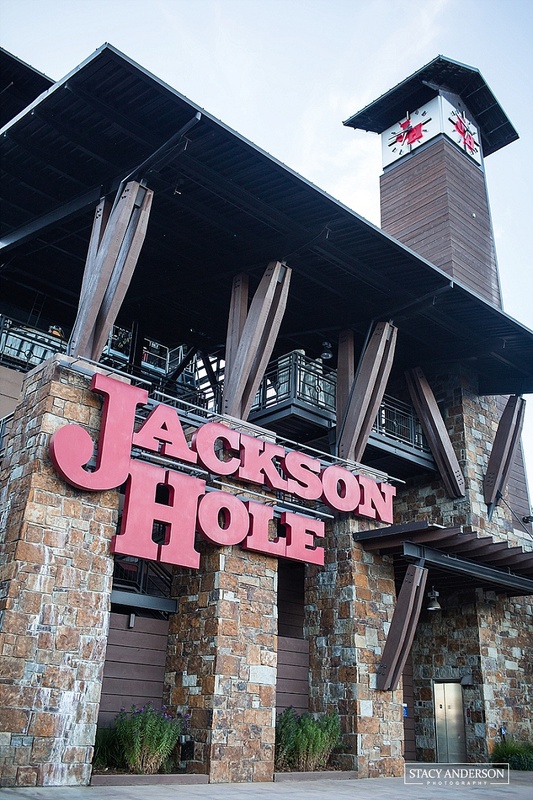 I just got back from the most refreshing, renewing experience in Jackson Hole, Wyoming! The landscape was stunning and the community and experiences were even better! 12th Table and Lauren Ledbetter put on the most fabulous workshop geared towards getting all sorts of creative-type people out of their comfort zone, away from their computers, and out enjoying and experiencing life. Let me outline a little bit of what I experienced. We awoke every morning at the Fireside Resort to an incredibly thoughtful breakfast in bed. Every morning, the ladies brought us an array of goodies to our individual cabins for us to start the day with. This was the greatest idea! Healthy Eating | Nutrition Stripped I wasn't exactly sure what to expect when I was going to meet with McKel. What I knew of her was that she was a super successful dietician and healthy eating guru. If I'm truly being honest with myself (and all of you), I know little about healthy eating. I did not grow up in a household where nutrition was tops on the list (macaroni and cheese, anyone?). So going to meet with her I felt a little bit like I was going to the dentist and I hadn't been flossing as much as I should. But there is a reason that McKel is so successful - it's because she not only knows her stuff, but she truly cares about helping others live healthier lives. She asked me about my family and what fuels me and what I'd like to change about my daily life. It was all very therapeutic and completely non-judgemental. We then discussed a few recipes I could make that would fit into our busy schedule and how to disguise healthy food do my son would eat it. McKel is such an amazing person inside and out and I'm so glad to have met her on this trip. Photographic Biography | Tec Petaja Being a photographer, one would think that I would be completely comfortable in front of the camera. After all, I help people pose themselves every day, so I should be a pro at it myself, right? So not true. The photographers in the group were probably the most nervous as to how our photos would turn out. We knew that Tec is amazing, but I've also seen my face make some goofy contortions and I would hate to ruin this awesome opportunity with a wrinkled up nose, double chin, or crazy eyes. I don't have the photos back yet, but I'm sure they'll be amazing when I do get them. Floral Design | Tinge Floral & Rosegolden Flowers This was probably the most stressful part of the entire week. While I am a creative person, I am also a perfectionist and have to have everything "just right". So being instructed to just play with it - well, that was a struggle to say the least. However, once I started understanding that, like photography, if you incorporate lines that lead your eye from one point to another, this little number came together quite nicely. I have such a huge respect for people who know how to make flowers and greenery pleasing to the eye, but I think I'll stick with taking photos. Some flowers included were Dusty Miller, Juliet Roses (gorgeous! ), berries, and Ranunculus. Brand Reboot | Lauren Ledbetter Leading up to the retreat, Lauren sent us a brand workbook to complete. It had many questions about our business and brand, but the ones I felt most difficult to answer were the ones that asked about me as a person. I've never enjoyed talking about myself. I used to dread the first day of school (even through college) because there was the inevitable introduction time where you had to tell others who you were and something incredibly interesting about yourself. Oye. But Lauren was so awesome at putting my mind at ease. She looked over my new website (which you'll see soon) and gave me some pointers as to how I can better get who I am across to my viewers. I've always struggled with that. I want people to like my photos, but more importantly, I want them to get a sense of who I am so that we can see if we mesh well. Mixology | Aperitif Someone who can make a tasty (and pretty) cocktail from just a few simple ingredients has always intrigued me. How do they know how much to put in? How do they know if it will be too potent? So I was excited to take this class from Gemall of Aperitif and learn a couple recipes for classic cocktails. While I couldn't taste them, I did "sling" a few drinks and it was so fun! Gemall was a great teacher with a great sense of humor! Design Open Studio | Chelsea Petaja Chelsea is a super talented calligrapher/ hand letterer. But really, she's awesome at all things creative. During the retreat, we got together and made sun prints. Sun prints are where you use the sun in order to expose special paper and create designs. For our sun prints, we used the local foliage in order to make some really neat art. Family Dinners | Chris the Chef from Nashville Chris, the chef that was flown in from Nashville, was incredibly talented. Our first evening there, we had Bison chili. I mean, what a way to welcome a group of hungry travelers with such a regional dish. And the meals from there on out only got better and better. Sorry, you won't find any photos of the food here because, well, I ate it before I had the chance, but enjoy the lovely tablescapes that were changed nightly! Hiking | Grand Teton National Park How can you be this close to the mountains and not explore it? So I not only hiked with the group to Taggart Lake, but I also went on my own on a hike around Jenny Lake to Hidden Falls. This is the best way to experience all that the Tetons had to offer! Massage | Claire This woman had magic hands. Seriously. Too bad she lives in Nashville or else I would have to start budgeting in weekly massages. It was the perfect topping to our relaxing and rejuvenating week. I can't thank Megan, Jamie, and Caroline from 12th Table enough for all of their kindness, selflessness, and genuineness. You ladies put on a great week of events and it wouldn't have run near as smoothly as it did without your hard work and attention to detail. Want to know more? Here's what Lauren had to say about the experience.